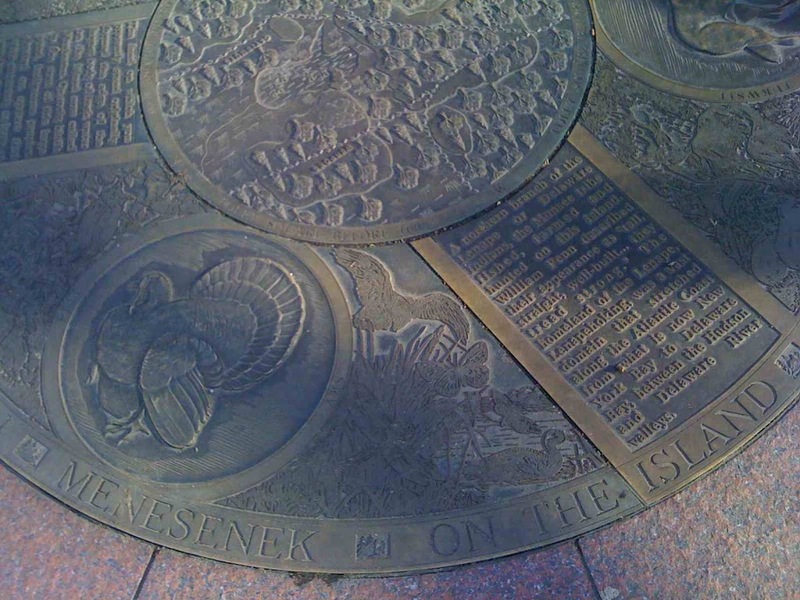 While walking around the Civic Center district this weekend, I stumbled upon this dedication to the original residents of Manhattan island, the Lenape, using some rather stiff, traditional images of a turkey, a turtle and a wolf. Why these particular creatures? The Lenape were actually divided into the three tribal groups, corresponding to these three creatures, whom they believed they were descended from according to ancient tradition. 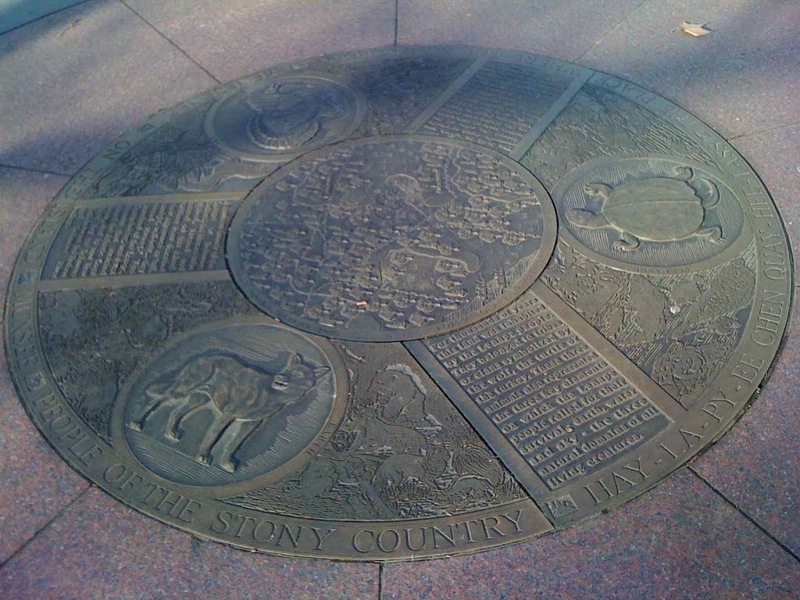 The Minsi (or, as indicated on the inscription, Munsee) meaning Wolf, “people of the stony country,” were the Lenape clan who lived in the areas of New York City today. The Unami (or Turtle) and Unalachtigo bands of Lenape inhabited the areas of New Jersey and Eastern Pennsylvania. The dedication, located just east of Jacob Javits Federal Plaza with its wild swirly green benches, sits on an area once covered by Collect Pond and its surrounding marshes over 200 years ago. Click here to see a cool little map indicating the Lenape regions of New York and New Jersey. Speaking of turkeys, has anybody recently seen Battery Park’s resident fowl Zelda?